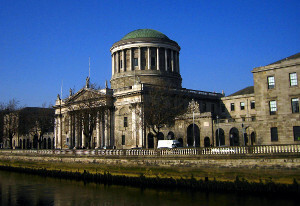 Dún Laoghaire Rathdown County Council have been granted an order restraining a man from issuing further proceedings against it or its employees without permission from the President of the High Court. Describing some of the man’s actions as “subtle if not overt intimidation-type tactics to quell applications and activities of the Council”, Mr Justice Tony O’Connor said that the proceedings brought by the man were vexatious, frivolous, and an abuse of process. Mr Gerard Fulham brought proceedings against Dún Laoghaire Rathdown County Council, along with eight people employed or engaged by the Council, alleging unlawful acts between November 2015 and July 2017 in relation to Nutgrove and Loreto Community Association and its use of a house behind the old Loreto School in Rathfarnam. The underlying issue in the various proceedings brought by Mr Fulham against the Council was a challenge to and failure to abide by an enforcement notice from the Council in respect of a “dormer style roof structure with attic conversion” at his home in Rathfarnham, Co Dublin. Mr Justice O’Connor said that the statement of claim showed Mr Fulham’s propensity to make general allegations affecting others so as to bolster his alleged grievance and perception of criminal acts which he said were matters for the DPP – Mr Justice O’Connor said the naming of the eight individuals without particulars of their alleged wrongdoing was of particular note. Stating that the expression “smoke and mirrors” came to mind, Mr Justice O’Connor pointed to letters corroborating the Council’s suggestion that Mr Fulham “engages in subtle if not overt intimidation-type tactics to quell applications and activities of the Council”. Mr Fulham also alleged “deliberate and false information”, misrepresentation and fraudulent claims on the part of the Council, and made serious claims averring to the use of “local thugs” by the Council to take over his association and to commit criminal acts. The Council sought an order dismissing Mr Fulham’s claim, stating that it was bound to fail, was frivolous and vexatious and amounted to an abuse of process. The Council sought an Isaac Wunder order against Mr Fulham restraining him from issuing further proceedings against it without leave from the President of the High Court. In considering the application, Mr Justice O’Connor emphasised the ned to balance “the rights of frequent litigators or claimants to institute proceedings and the rights of other citizens (in this case, employees of the County Council and the County Council itself) to be free from harassment and threat whether overt or subtle”. Mr Justice O’Connor was satisfied that Mr Fulham had “a tendency, if not a modus operandi, of seeking to thwart or delay the legitimate activities of the County Council and its employees and officers, in fulfilling their duties by threatening and/or instituting proceedings”. In this regard, Mr Justice O’Connor referred to a Civil Bill issued by Mr Fulham in Dublin Circuit Court which named a law clerk of the Council as one of the defendants. Mr Justice O’Connor also said that the court processes were “not available to be abused by one citizen so as to bring another citizen into the court process for mere embarrassment, awkwardness or vexation purposes”. Finding that the present proceedings were frivolous and commenced and continued to be vexatious, Mr Justice O’Connor said Mr Fulham acted “with effective impunity given his impecuniosity” and that his history of seeking “to niggle if not embarrass and intimidate employees, officials and agents of the County Council by threatening and initiating unsuccessful proceedings” was evident. Litigants who have adopted litigation as a lifestyle choice and mount actions with no apparent connection with them. Like most cases, Mr Fulham fell into the second category. Mr Justice O’Connor said that it was not efficient or cost-effective to allow a serial infringer like Mr Fulham to continue to institute proceedings in circumstances where previous proceedings have been struck out for vexation or abuse of process. An order directing the taxation of the costs of the defendants in respect of these proceedings up to the date of service of the notice of discontinuance unless Mr Fulham and DLRC agree the total of those costs in writing.